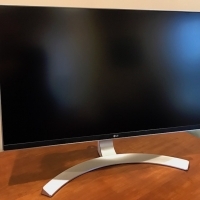 A few weeks ago, we took a look at LG's new 27-inch UltraFine 5K display designed in partnership with Apple to pair with the new MacBook Pro. While it's a high-quality screen that offers a sharp, spacious, Retina desktop, the overall design has generated mixed reactions, particularly in comparison to Apple's design standards. At a standard price of $1299 and even Apple's discounted price of $974, the UltraFine 5K isn't a cheap display. 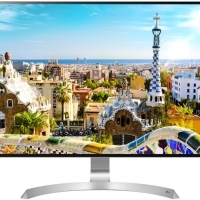 Its smaller sibling, the 21.5-inch UltraFine 4K, at its temporary price of $524 might be more appealing to users who are willing to give up some pixels and a few features, but there are several other Ultra HD and 4K options on the market, some of which we rounded up in mid-November. 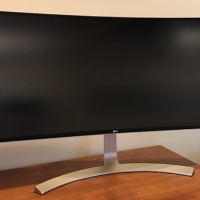 Among these other options, one of the most popular Ultra HD (3840x2160) displays with USB-C connectivity has been LG's 27-inch 27UD88, which offers a clean design, a matte screen finish to reduce glare, and a broader array of connectivity options than the UltraFine lineup. The 27UD88's IPS display supports 99% coverage of the sRGB spectrum, 5 ms response time, and a 60 Hz refresh rate. 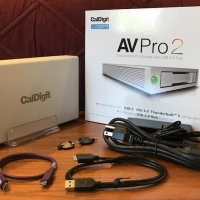 As with the UltraFine displays, one of the major advantages of USB-C connectivity on the 27UD88 is the ability to transfer data, video, and even power over a single cable, and the 27UD88 offers up to 60 watts of power over USB-C to power a notebook computer. 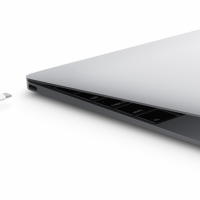 Since the launch of Apple's Retina MacBook last April, users have been looking for ways to expand the functionality of the single port included on the machine, a USB-C that can support a multitude of functions including power and data. Many third-party companies have begun shipping single-use dongles and small hubs for MacBook fans to be able to get full use out of their ultra-thin 12-inch notebooks. 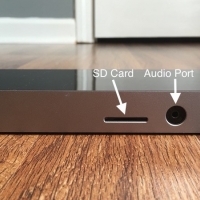 All pictures in the review are of a pre-production unit lacking proper screen printing with port designations OWC's USB-C Dock is one of the first full-featured alternatives for the MacBook. At $159.00, the 8-inch by 3.5-inch dock comes with ten ports for users to take advantage of: four USB Type-A, one USB Type-C, an SD card reader, HDMI with 4K display support, Gigabit Ethernet, an audio headphone jack, and one USB 3.1 Type-C computer link. The first thing that should be noted is that the dock requires two included cables to fully function: an external 80W power source that plugs into an outlet, and the USB-C cable that connects everything to the MacBook. Thankfully, the power adapter also charges the MacBook while it's in use; after that initial setup, most things plugged into the dock work without any added steps. Known for providing a variety of storage solutions for desktop and mobile devices, SanDisk continues its trend of easy-to-use storage devices supporting multiple connector standards with its new Dual USB Drive Type-C. 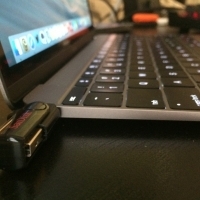 Taking aim at the growing use of USB-C in the tech industry, the Dual USB Drive includes connectors for both USB-A 3.0 and USB-C that allow users to transfer files between a traditional USB-supporting computer and a machine like Apple's new 12-inch Retina MacBook that uses the new USB-C standard. While similar to the company's iXpand Flash Drive line -- which pairs a USB connector with a Lightning connector for a more mobile-friendly storage solution -- the Dual USB Drive is definitely lighter and slimmer than the iXpand line. The new drive is actually part of the line of SanDisk's "Dual" USB Drives, the other two of which focus on a more Android compatible transfer process. Only coming in a 32GB option, the Dual USB Drive Type-C has plenty of storage for all kinds of files, from music and photos to documents and slideshows. I've spent the past week or so testing the Dual drive, but as with any other basic flash drive, it either works hassle-free or it doesn't. Thankfully, SanDisk's new USB-C supported solution is a breeze when it comes to data storage and transfer. The drive took essentially the entire contents of my new 12-inch MacBook and in a few seconds had successfully pasted copies of the files into its 32GB storage. 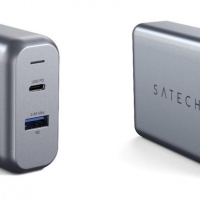 Satechi today at CES 2019 announced it has released two new power adapters, including a dual-port wall charger and a four-port travel charger. 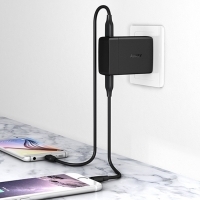 The wall charger features one 18W USB-C Power Delivery port and one 12W USB-A port, while the travel charger features a pair of 60W and 18W USB-C Power Delivery ports and two USB-A ports with a total max output of 12W. The 18W USB-C port on the wall charger is ideal for charging a 2018 iPad Pro or fast charging the iPhone 8, iPhone 8 Plus, iPhone X, iPhone XS, iPhone XS Max, or iPhone XR with a USB-C to Lightning cable. 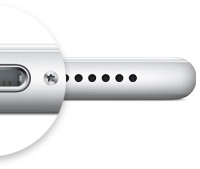 Fast charging an iPhone provides up to 50 percent battery life in just 30 minutes, according to Apple. 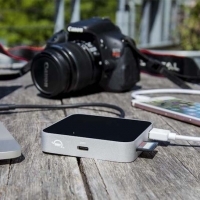 The four-port travel charger is ideal for not only the latest iPhone and iPad models, but larger devices such as the newest MacBook Air and Nintendo Switch. The dual-port wall charger is available for pre-order for $29.99 in space gray on Satechi's website in the United States, with orders estimated to begin shipping on January 31. The four-port travel charger is available now for $69.99 on Amazon and Satechi's website and ships in an estimated one to two days. 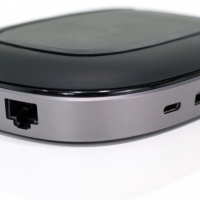 Satechi does not include charging cables with either power adapter. Note: MacRumors is an affiliate partner with Amazon and Satechi. When you click a link and make a purchase, we may receive a commission, which helps us keep the site running. 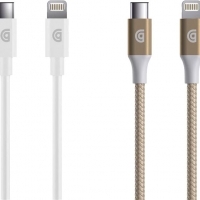 Apple-certified accessory maker Griffin today at CES 2019 announced that it will be releasing a collection of USB-C to Lightning cables and power adapters for the latest Apple devices in the second quarter of 2019. Griffin will offer basic USB-C to Lightning Cables in four-foot and six-foot sizes for $19.99 and $29.99 respectively in the United States, along with a five-foot option with a more premium braided aluminum design for $34.99. 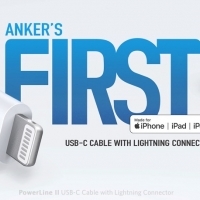 All three cables are pending certification under Apple's Made for iPhone program. 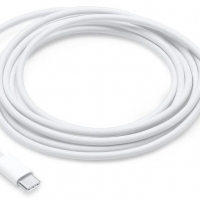 By comparison, Apple offers USB-C to Lightning cables in 3.2-foot and 6.5-foot sizes for $19 and $35 respectively in the United States. 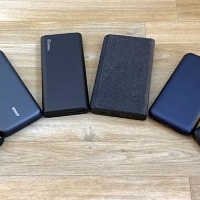 In tandem, Griffin will be releasing three new PowerBlock and PowerJolt power adapters: a wall charger with an 18W USB-C port for $39.99, a wall charger with an 18W USB-C port and 12W USB-A port for $49.99, and a car charger with an 18W USB-C port for $39.99. Each comes with a USB-C to Lightning cable. USB-C to Lightning cables and power adapters can be used with the 2018 iPad Pro and to fast charge the iPhone 8 and newer. 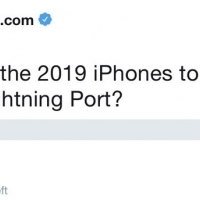 Last month, Apple informed members of its Made for iPhone program that third-party Lightning to USB-C cables are now permitted to be manufactured, and we're now seeing the first options from Griffin and Belkin and likely others. The cables and power adapters will be available on Griffin's website. Note: MacRumors is an affiliate partner with Griffin. When you click a link and make a purchase, we may receive a commission, which helps us keep the site running. 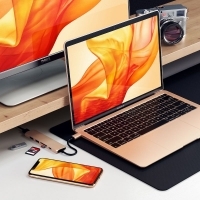 Satechi today announced that three of its USB-C hubs are now available to pre-order in a gold color that resembles the finish of the latest MacBook Air. 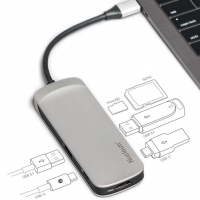 Slim USB-C Multi-Port Adapter V2 - $69.99: 4K HDMI, SD and microSD card readers, one USB-C port with Power Delivery, and two USB-A ports. Plug-and-play with 2015 and newer MacBook, 2016 and newer MacBook Pro, 2018 MacBook Air, and 2018 iPad Pro. USB-C Multi-Port Adapter 4K With Ethernet V2 - $89.99: 4K HDMI, Gigabit Ethernet, SD and microSD card readers, one USB-C port with Power Delivery, and three USB-A ports. Plug-and-play with 2015 and newer MacBook, 2016 and newer MacBook Pro, 2018 MacBook Air, and 2018 iPad Pro. USB-C Pro Hub Adapter - $99.99: 4K HDMI, SD and microSD card readers, one USB-C port with Power Delivery, one USB-C port, and two USB-A ports. 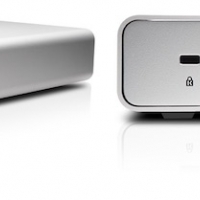 Plug-and-play with 2016 and newer MacBook Pro and 2018 MacBook Air.This is purely a cosmetic change, with pricing and functionality of the USB-C hubs unchanged compared to the existing silver and space gray variants. Orders will begin to ship in January, according to the accessory maker. Note: MacRumors is an affiliate partner with Satechi. When you click a link and make a purchase, we may receive a small payment, which helps us keep the site running. 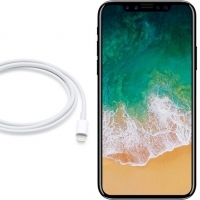 A recent support document on Apple's website confirms that you don't need one of Apple's USB-C power adapters to fast charge the latest iPhones. 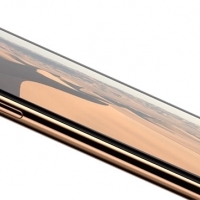 Apple says the iPhone 8 and iPhone 8 Plus, and presumably the iPhone X, can be fast charged with any comparable third-party USB-C power adapter that supports the USB Power Delivery specification. 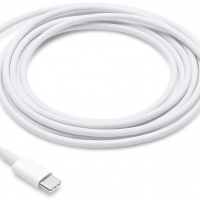 An official Lightning to USB-C cable is still needed, and it's not included with any iPhone. 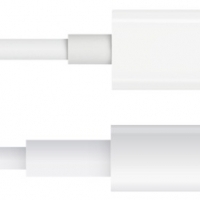 Apple charges $25 for a one meter cable, and $35 for a two meter cable, in the United States. There aren't any MFi-certified alternatives yet. 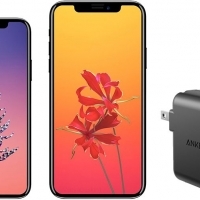 Apple's own USB-C power adapters that support USB-C Power Delivery include: 29W USB-C Power Adapter — $49 61W USB-C Power Adapter — $69 87W USB-C Power Adapter — $79Aukey has a few cheaper third-party options available on Amazon: 29W USB-C Power Adapter — $22.99 46W USB-C Power Adapter — $39.99Fast charging enables the iPhone 8, iPhone 8 Plus, and iPhone X to charge to 50 percent battery life in just 30 minutes. Disclaimer: This article is not affiliated with Aukey, but MacRumors is an affiliate partner with Amazon and may get paid if you click one of the above links and make a purchase.